So this is the thing that I use to administer the second set of IVF drugs (Gonal F). 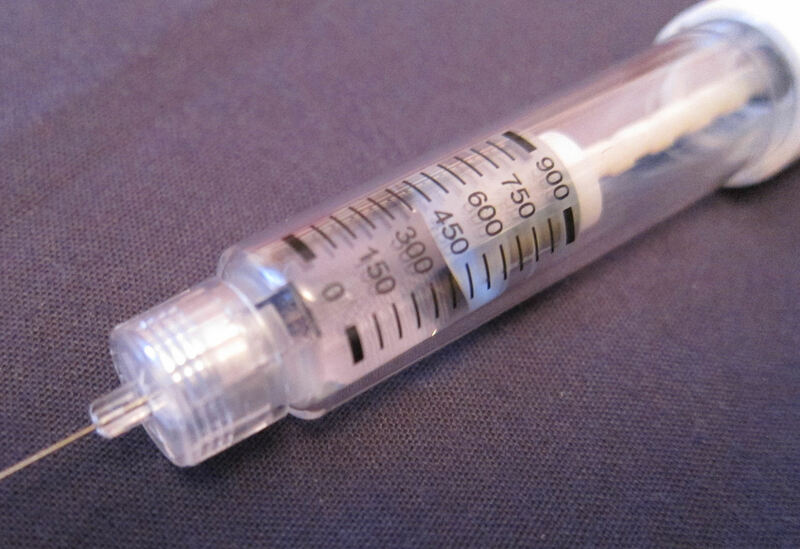 It is a sort of ‘pen’ which is all pre-loaded with a week’s worth of drugs and you twizzle it round until it is set to give you the right amount. The only bit you add each time is a new needle – the bit in the bottom left. You will recall that I have to take this every day in addition to the other injections (more of your conventional injections, see two blips ago) – so that is two injections every day for ten days or so. No problems with drug administration, but I do feel very physically tired today. Could be the drugs, could be unrelated. Hard to say. Also these drugs are designed to puff up your ovaries, and occasionally today I have thought I could feel my ovaries. Not a pain, more just being aware of the area like someone was gently poking me there. But again, could be unrelated or indeed imagined. Well I’ll see how I get on over the next few days.